The best cold saw manufacture in China! 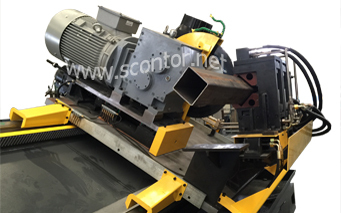 It is mainly used for the finished pipe turning collection、 stacking and bundling for welded pipe production lines. 3.High speed and high precision cutting. Have you done a physical examination of the cold-cut saw? 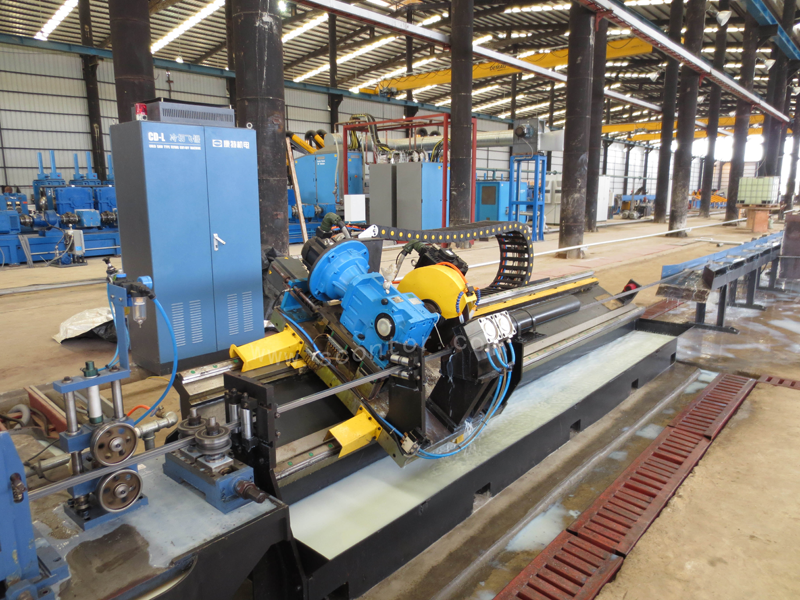 The CNC dual blade cutting machine is a fixed-length cutting steel pipe in the continuous production of straight pipe or square rectangular pipe straight seam welded pipe production line. The steel tube is cut along the outer contour of the tube by two milling saw blades. 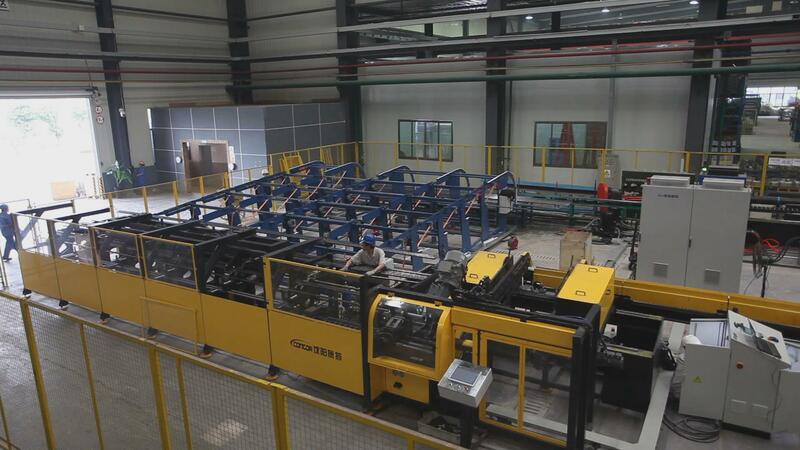 CNC dual blade cutting machine consists of two parts: mechanical structure and automatic control system. The user sets the cutting length, tube parameters and other information on the operation console. The CNC dual blade cutting saw machine automatically completes the full cycle of quick start, synchronous tracking, clamping cutting and fast return. 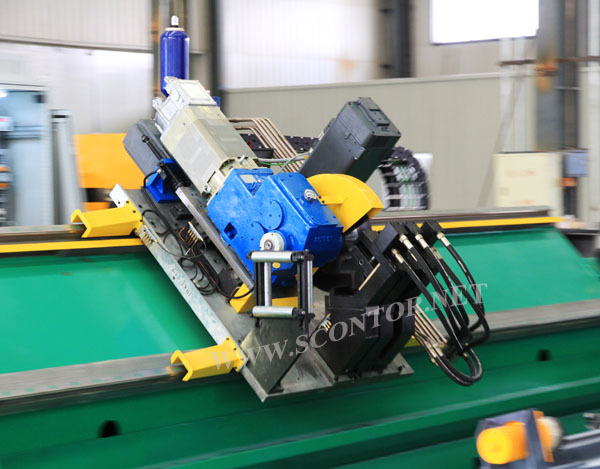 Contor CNC dual blade cutting machine features:Save the saw blade and reduce the cost;through the R-θ control method, the saw blade can be cut into the tube wall to realize the profile tube wall cutting of the simulated tube type track. 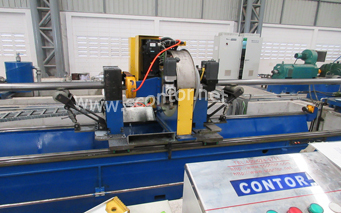 This greatly reduces the size of the saw blade, and the purchase price of two small-sized saw blades is less than half that of the conventional saw blade.Inserted saw blade for added strength: This machine adopts high-strength, high-rigidity insert saw blade, which can cut inner welded pipe and high-strength material welded pipe. It has wider application range and saw blade life is greatly improved. Cutting life is More than twice the size of a conventional saw blade. Inline cutting, stable quality, high efficiency: The machine control software and process programming are independently researched and developed by the company. The R&D design team is familiar with the production needs of users in the welded pipe industry and has rich experience. 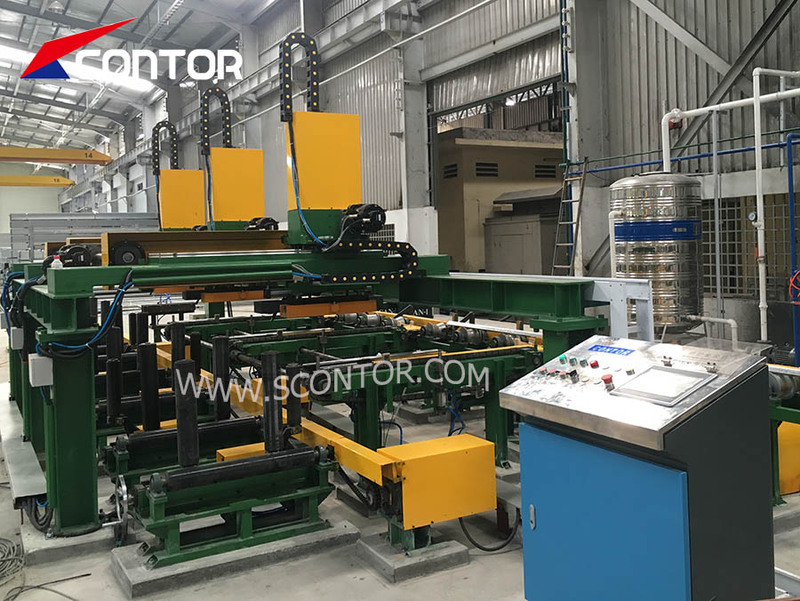 According to the cutting type, pipe diameter, wall thickness, production line speed requirements, etc., the servo system can be customized for the user. Thereby improving equipment efficiency and stability, saving user materials and time costs.